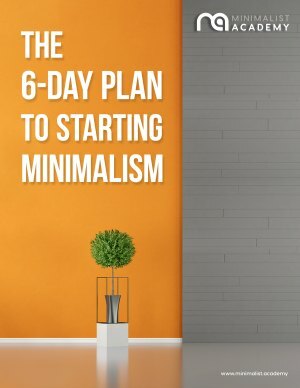 Minimalists frequently embrace a holistic approach when it comes to their health and for good reason. They often create lifestyles filled with meaning and purpose. Their actions are led by intentions and they very rarely will do anything without some motivating factor for doing so. For these reasons, adopting a holistic perspective when it comes to health is a natural fit for minimalists. It requires them to view the whole self and make sound decisions as they relate to their health. One of the areas discussed most frequently is one’s physical health. How does a minimalist view this particular aspect of his or her life? How does he or she not get swept up by the latest fad diets and injury-inducing exercise routines? Below are a few themes minimalists focus on when it comes to taking care of their physical bodies. A few of the biggest decisions many people grapple with when it comes to their health are what foods they should eat, when they should eat them, and how much at any given time. Unless you are under a doctor’s care or have an existing condition, which requires a particular diet, the general rule for many minimalists is to eat what is as close to nature as possible. Skip the processed, added hormones, and the excess sugar. Keep it clean and keep it simple. They also tend to eat when they are hungry, making sure to fuel their day according to the energy required. For example, they will often start with a decent breakfast containing protein and carbohydrates, followed by a nutrient-packed lunch, and a reasonably portioned dinner. If a workout is planned or perhaps more mental energy is required for the day, minimalists will add in a few healthy snacks as well. The piece to take away from this is to eat what fuels your body and eat when your body needs energy the most. Hydrating the body is just as important as fueling it. The beverage options on the shelves today are limitless, however, many are loaded with excess sugar, high quantities of caffeine, or chemically-formulated ingredients. Next up are the healthier options such as loose leaf tea, various nut or dairy milks, a small glass of red wine, or naturally squeezed fruit juices with no additives. However, the best option will always be a generous glass of good old H2O. Once again, keep it simple. Water not only helps internal organs and digestion, but it also hydrates skin cells and aids in the circulatory system too! The amount of water one should consume on a daily basis will be different for every individual. It is important to simply be aware when it comes to the amount of water you have consumed on any given day, and increase the volume if necessary. After all, you must have water to survive, let alone function. Another major component when it comes to a minimalist’s physical health is what one chooses to do for exercise. The topic of exercise is the area where individuals most commonly lack direction and feel confused by the options available to them. From running a marathon and lifting weights to adopting a yoga practice, the range of exercise modalities is quite large and each one serves a unique purpose for each individual. To begin your exercise journey, look at your overall lifestyle and what is missing in order for you to live more holistically. Perhaps you get enough cardio in at your place of work, but you need a modality encouraging flexibility and extension. If you sit at a desk most of the day, cardio may be your best bet to achieve balance in your life. Also look at past activities you really enjoyed and felt encouraged to continue. What were they? Could they be seen as a form of exercise? Hiking, dancing, and paddle boarding provide excellent examples of what many see as hobbies, but can also be very valuable forms of exercise. Find what fits your holistically healthy lifestyle and do not be intimidated by all of the other options out there. The final aspect of living a holistically healthy lifestyle is relaxation and sleep. Many individuals may have their diets, water consumption, and exercise figured out, but neglect the necessity of sleep. Sleep not only improves your physical appearance such as hydrating your skin cells and bringing color to your face through your circulatory system, but it also helps your physical body regroup on the inside as well. People need 7 to 9 hours of sleep on average. This allows the body to repair and restore itself from the long day of work it went through. It is also equally as important to unwind throughout the day. Whether it is a long shower after a workout, a gentle stretch before bed, or a leisurely lunch reading a book; allowing your body to take a moment to restore is essential in order for it to prepare for the next job it is required to do. 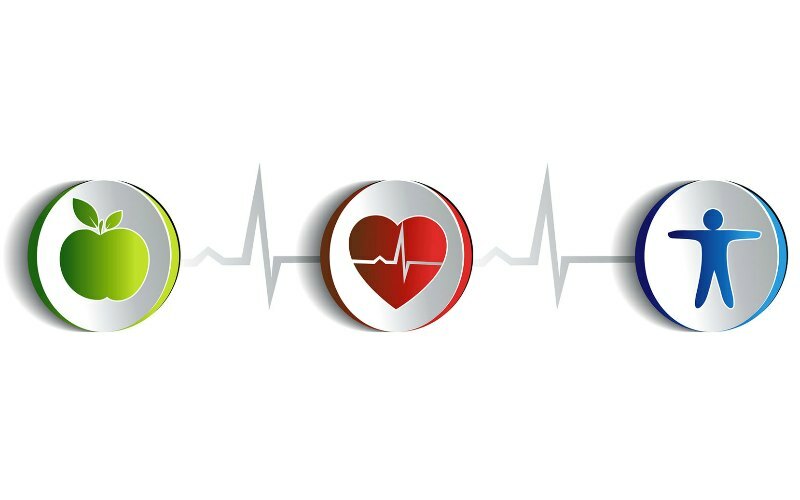 Physical health is one area largely discussed in today’s society. It is imperative to make wise decisions when it comes to your physical body and how taking care of it contributes to your holistic health overall. With a minimalist perspective, reflect on the various ways you can improve your physical health in order to live a life that matches your fullest potential. With food that fuels, H2O, exercise, and the proper rest; you will be well on your way to embracing physical lifestyle habits that are in line with your holistic health perspective.